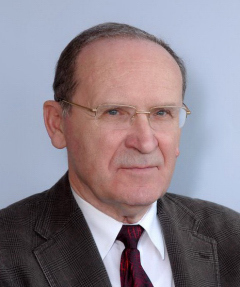 Pavel Zítek has been a full Professor of Technical Cybernetics at the Czech Technical University in Prague (CTU) since 1989. 1990-1997 the head of the Department of Automatic Control, 1998-2005 the head of the Dept. of Instrumentation and Control Eng. Born in Prague 1939 he received his Mechanical Engineering Diploma from the Faculty of Mechanical Eng. at CTU and at the same university he received the first doctoral degree (CSc.) with the dissertation on limit operators of distributed systems (1968) and the second doctoral degree (DrSc.) with the dissertation on the so-called anisochronic state models of time delay systems (1987). Assistant Professor habilitation in 1977. He is a head of the Mechanical Engineering Group of the Centre for Applied Cybernetics. International project – 12 European universities involved – TEMPUS No. 2011-91/1, Co-ordinator TU Wien. Fault Detection in Complex Systems Based on the State Estimation Methods. Grant Agency of CR, No. 101-94-1267, 1994 – 1996. Research on FDI methods suitable for systems with distributed parameters and delays. Model of Oxygen Transport Control in Blood Circulation. Grant Agency of CR, No. 106-96-1584, 1996 – 1998. Model research of the heart rate variability problem as an attribute of physiological control processes in cardiovascular system. IQ2FD – Integration of Quantitative and Qualitative Fault Diagnosis Methods within the Framework of Industrial Applications. Air Condition Control Preventing the Moisture-Originated Damage of Artistic Exhibits in Historical Buildings. * Zítek, P. – Fišer, J. – Vyhlídal, T.: Dimensional analysis approach to dominant three-pole placement in delayed PID control loops. Journal of Process Control, 2013, vol. 23, no. 8, p. 1063-1074. ISSN 0959-1524. * Michiels, W. – Vyhlídal, T. – Zítek, P.: Control Design for Time-delay Systems Based on Quasi-direct Pole Placement. Journal of Process Control. 2010, vol. 20, no. 3, p. 337-343. ISSN 0959-1524. * Zítek, P. – Vyhlídal, T. – Simeunovič, G. – Nováková, L. – Čížek, J.: Novel personalized and humidified air supply for airliner passengers. Building and Environment. 2010, vol. 45, no. 11, p. 2345-2353. ISSN 0360-1323. * Michiels, W. – Vyhlídal, T. – Zítek, P. – Nijmeijer, H. – Henrion, D.: Strong stability of neutral equations with an arbitrary delay dependency structure. SIAM Journal on Control and Optimization. 2009, vol. 48, no. 2, p. 763-786. ISSN 0363-0129. * Vyhlídal, T. – Michiels, W. – Zítek, P. – McGahan, P.: Stability impact of small delays in proportional-derivative state feedback. Control Engineering Practice. 2009, vol. 17, no. 3, p. 382-393. ISSN 0967-0661. * Vyhlídal, T. – Zítek, P.: Mapping Based Algorithm for Large-Scale Computation of Quasi-Polynomial Zeros. IEEE Transactions on Automatic Control. 2009, vol. 54, no. 1, p. 171-177. ISSN 0018-9286. * Vyhlídal, T. – Zítek, P.: Modification of Mikhaylov Criterion for Neutral Time-Delay Systems. IEEE Transactions on Automatic Control. 2009, vol. 54, no. 10, p. 2430-2435. ISSN 0018-9286. * Zítek, P. – Vyhlídal, T.: Model-based moisture sorption stabilization in historical buildings. Building and Environment. 2009, vol. 44, no. 6, p. 1181-1187. ISSN 0360-1323. * Zítek, P. – Kučera, V. – Vyhlídal, T.: Meromorphic observer-based pole assignment in time delay systems. Kybernetika. 2008, vol. 44, no. 5, p. 633-648. ISSN 0023-5954. * Fišer, J. – Červený, J. – Zítek, P.: Time Delay Model of Algal Population Growth in Tubular Photobioreactor. Simulation News Europe. 2007, vol. 17, no. 3-4, p. 14-18. ISSN 0929-2268. * Hofreiter, M. – Zítek, P.: Argument Increment Stability Criterion for Linear Delta Models. Applied Mathematics Computer Science. 2003, vol. 13, no. 4, p. 485-491. ISSN 1641-876X. * Zítek, P. – Kučera, V.: Algebraic Design of Anisochronic Controllers for Time Delay Systems. International Journal of Control. 2003, vol. 76, no. 16, p. 1654-1665. ISSN 0020-7179. * Hou, M. – Zítek, P. – Patton, R.J.: An Observer Design for Linear Time-Delays Systems. IEEE Transactions on Automatic Control. 2002, vol. 47, no. 1, p. 121-125. ISSN 0018-9286. * Zítek, P. – Hlava, J.: Anisochronic Internal Model Control of Time-Delay Systems. Control Engineering Practice. 2001, vol. 9, no. 5, p. 501-516. ISSN 0967-0661. * Bíla, J. – Zítek, P. – Kuchař, P.: Fuzzy Modelling of Heart Rate Variability. Advances in Soft Computing. 2000, vol. 1, no. 3, p. 346-353. ISSN 1615-3871. * Zítek, P. – Mánková, R. – Hlava, J.: Neural Network Evaluation of Model-Based Residuals in Fault Detection of Time Delay Systems. Applications of Mathematics. 1999, vol. 9, no. 3, p. 599-617. ISSN 0862-7940. * Zítek, P.: Anisochronic State Observers for Hereditary Systems. International Journal of Control. 1998, vol. 71, no. 4, p. 581-599. ISSN 0020-7179. * Zítek, P.: Frequency-Domain Synthesis of Hereditary Control Systems State Space. International Journal of Control. 1997, vol. 70, p. 539-556. ISSN 0020-7179. * Zítek, P.: Anisochronic Modeling and Stability-Criterion of Hereditary-Systems. Problems of Control and Information Theory. 1986, vol. 15, no. 6, p. 413-423. * Zítek, P. – Fišer, J. – Vyhlídal, T.: Dominant three pole placement in PID control loop with delay. In: Proceedings of the 9th Asian Control Conference (ASCC 2013). New York: IEEE Control System Society, 2013, . ISBN 978-1-4673-5769-2. * Zítek, P. – Fišer, J. – Vyhlídal, T.: Dominant Trio of Poles Assignment in Delayed PID Control Loop. In: Delay Systems: From Theory to Numerics and Applications, Eds. T. Vyhlídal, J-F. Lafay, R. Sipahi, Book series: Advances in Delays and Dynamics, Vol. 1, New York: Springer, 2014, p. 57-70. ISBN 978-3-319-01695-5. * Fišer, J. – Červený, J. – Zítek, P.: Oscillators for Modelling Circadian Rhythms in Cyanobacteria Growth. In: Modelling, Simulation and Optimization. Vienna: In-Teh, 2009, p. 105-119. ISBN 978-953-7619-36-7. * Vyhlídal, T. – Zítek, P. – Paulů, K.: Design, Modelling and Control of the Experimental Heat Transfer Set-Up. In Topics in Time Delay Systems, Analysis, Algorithms and Control. Berlin: Springer, 2009, p. 303-313. ISBN 978-3-642-02896-0. * Zítek, P.: Control of Temperature and Heat Flow Rate: the Problem of Delays. In Control Engineering Solutions a Practical Approach. London: Institution of Electrical Engineers, 1997, p. 97-111. ISBN 0-85296-829-9. * Simeunovič, G. – Zítek, P. – Chyský, J.: The Parameters Identification of Time Delay Models of Heat Transfer Systems From Input-Output Measurements. In Proceedings of 17th International Conference on Nuclear Engineering (ICONE17). New York: American Society Of Mechanical Engineers – ASME, 2009, vol. 3, p. 75361-1-75361-7. ISBN 978-0-7918-4353-6. * Vyhlídal, T. – Michiels, W. – Zítek, P.: Quasi-direct pole placement for time delay systems applied to a heat transfer set-up. In Proceedings of 8th IFAC Workshop on Time-Delay Systems. Craiova: Editura Universitaria Craiova, 2009, p. 1-6. * Zítek, P. – Simeunovič, G. – Vyhlídal, T.: Personalized Air Distribution System for a Seated Passenger in Aircraft Cabin. In Proceedings of the 11th International ROOMVENT Conference. Seoul: Seoul National University, 2009, p. 987-994. ISBN 978-89-89071-02-0. * Zítek, P. – Vyhlídal, T. – Simeunović, G. – Nováková, L. – Čížek, J.: CFD Model Aided Design of Personalized Air Supply for Aircraft Cabin Seat. In Proceedings of the 6th Vienna Conference on Mathematical Modelling. Vienna: ARGESIM, 2009, p. 2236-2245. ISBN 978-3-901608-35-3. * Fišer, J. – Zítek, P. – Červený, J.: Oscillators for Modeling Biomass Growth Adaptation to Circadian Rhythms. In Proceedings of UKSIM Tenth International Conference on Computer Modelling and Simulation. Los Alamitos: IEEE Computer Society, 2008, p. 175-179. ISBN 0-7695-3114-8. * Simeunović, G. – Zítek, P. – Debeljković, D.Lj. : Differential-discrete Mathematical Model of the Recuperative Counter-flow Heat Exchanger. In Proceedings of 16th International Conference on Nuclear Engineering (ICONE16). Michigan: ASME Dynamic Systems and Control Division, 2008, vol. 2, p. 699-703. ISBN 978-0-7918-4815-9. * Zítek, P. – Vyhlídal, T.: Argument-Increment Based Stability Criterion for Neutral Time Delay Systems. In Proceedings of the 16th Mediterranean Conference on Control and Automation. Athens: Mediterranean Control Assotion, 2008, p. 824-829. ISBN 978-1-4244-2504-4. * Zítek, P. – Vyhlídal, T. – Kučera, V.: Affine parametrization of cascade control with time delays. In Preprints of the 17th IFAC World Congress. Seoul: IFAC, 2008, p. 3907-3912. ISBN 978-3-902661-00-5. * Debeljkovic, D.Lj. – Simeunović, G. – Zítek, P. – Inard, Ch. : Differential-discrete Mathematical Model of Two Phase Flow Heat Exchanger. In Proceedings of ICONE-15. Tokyo: Japan Society of Mechanical Engineers, 2007, p. 1-6. ISBN 978-4-88898-159-0. * Simeunović, G. – Zítek, P. – Debeljkovic, D.Lj. : Time – Delay Models of Heat Transfer Systems. In Proceedings of ICONE-15. Tokyo: Japan Society of Mechanical Engineers, 2007, p. 10352-1-10352-5. ISBN 978-4-88898-159-0. * Vyhlídal, T. – Zítek, P. – Paulů, K.: Design, Modelling and Control of the Experimental Heat Transfer Set-up. In Proceedings of the 7th Workshop on Time Delay Systems. Nantes: IRCYN, 2007, p. 1-6. * Zítek, P. – Kučera, V. – Vyhlídal, T.: Cascade Control Parameterization for Time Delay Plants. In Proceedings of the 7th Workshop on Time Delay Systems. Nantes: IRCYN, 2007, p. 1-6. * Fišer, J. – Červený, J. – Zítek, P.: Time Delay Model of Algal Population Growth in a Photobioreactor. In 5th MathMod Vienna Proceedings. Vienna: ARGESIM, 2006, vol. 2, p. 4-1-4-7. ISBN 3-901608-30-3. * Vyhlídal, T. – Zítek, P.: Mapping the Spectrum of a Retarded Time Delay System Utilizing Root Distribution Features. In Proceedings of the 6th IFAC Workshop on Time-Delay Systems. Oxford: IFAC, 2006, p. 1-6. * Zítek, P. – Vyhlídal, T.: Static-model-based Residue Generation for Hereditary Process Fault Detection. In 6th IFAC Symposium on Fault Detection, Supervision and Safety of Technical Processes. Beijing: Tsinghua University, 2006, p. 1237-1242. * Vyhlídal, T. – Zítek, P.: Discrete Approximation of a Time Delay System and Delta Model Spectrum. In Proceedings of the 16th IFAC World Congress. Oxford: Elsevier Ltd., 2005, ISBN 0-08-045108-X. * Zítek, P. – Kučera, V. – Vyhlídal, T.: Meromorphic Stabilization and Control of Time Delay Systems. In Proceedings of the 16th IFAC World Congress. Oxford: Elsevier Ltd., 2005, ISBN 0-08-045108-X. * Zítek, P. – Vyhlídal, T.: A Residue Based Evaluation of Pole Significance in Time Delay Systems. In TDS 04. Leuven: Katolieke Universiteit Leuven, 2004, p. 1-6. * Vyhlídal, T. – Zítek, P.: Quasipolynomial Mapping Based Rootfinder for Analysis of Time Delay Systems. In IFAC TDS ’03. Rocquencourt: INRIA, 2003, p. 1-6. * Zítek, P. – Vyhlídal, T.: Quasi-Polynomial Based Design of Time Delay Control Systems. In IFAC TDS ’03. Rocquencourt: INRIA, 2003, p. 1-6.